Food scientists can create a vast array of tastes and smells by combining chemicals. Those nacho-chipotle-wasabi-ranch chips you love? They're the result of tinkering with molecules and millennial focus groups. Nearly all of the processed foods on the market, even those containing "natural flavours," are given their kick by science and a healthy dose of market research. In the case of complexity however, technology is still far behind nature. Case in point: Scotch whisky, lauded for its nuance in nose and palate, much of which scientists and craftsman alike still fail to fully comprehend. The interactions between environmental variables like spring water and climate mingle with human craft in the whisky making process to create tasting experiences that surely blew the minds of the 15th century monks who first dabbled in distillation, and continue to compel enthusiasts from around the world. Simplicity and discipline are at the core of what makes this craft timeless. Not surprisingly, there's some hazy uncertainty over exactly who presided over the first whisky stills of Scotland, but there's no doubt it was in a monastery. According to the earliest written record in 1494, King James IV ordered over half a ton of whisky from Lindores Abbey, located due north of Edinburgh. At the time, whisky was capable of inspiring wonder on the palates of kings, but it was still a work in progress. There were bottles of golden sunshine, like those possibly found at Lindores, and there were varieties that at best didn't cause blindness. Whisky scholars infer that with the King placing an order with this particular monastery, it's likely that distillation was widespread by this time among monks. Distilled spirits were used first in religious rituals, which makes sense because monks had the space and time to dedicate resources to fine-tuning the process. However, as the Reformation swept up from England, many monasteries were dissolved. Yet, rather than snuffing out the practice of distillation, it spread and flourished. Advancements in whisky making have occurred over centuries of trial and error, with distillers passing their knowledge onto the next generation. Though industrial machinery is now used to increase the scale at which batches are made, the process remains one that relies heavily on skill and experience. From the harvesting of the barley to the aging process, there are key moments where whisky makers imbue their own personal and regional touches that result in the distinct expressions found in the bottle. Whisky makers set themselves apart from one another in the very first stage of the production process. After the barley is steeped in water, it's laid out on what's called a malting floor to germinate. Traditionally, and in many contemporary whisky distilleries, the barley is turned at various intervals with shovels or by hand. This process provides an even germination amid the barley. Once the barley has reached an optimal germination point, and the starch has turned the sugar, it must be dried. 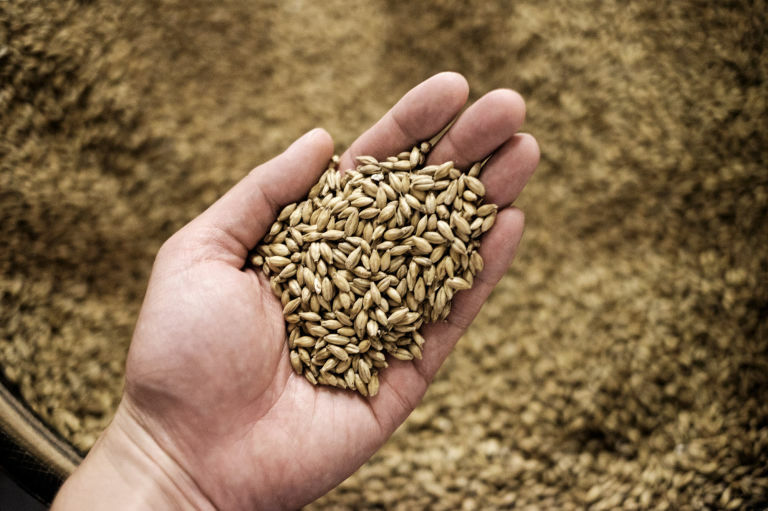 At this point, the way in which the barley is dried begins to vastly impact the character of the whisky. For instance, the use of peat smoke when drying barley will contribute to a smoky character while opting out of peat smoke altogether opens up other profiles. The process remains one that relies heavily on skill and experience. Next, the dried barley is ground into course flour called grist. It's heated to extract sugar, yeast is added, and then fermentation occurs. The so-called "wash" is now ready for distillation. Over the centuries the process has been refined for repeat results, but the principles are the same: heat the wash to roughly 178-degrees Fahrenheit, where the alcohol evaporates while the water stays in the still. This is done twice, but rarely three times as the more a wash is distilled, the more it loses its original character. It's actually the shape of the still where whisky makers leave their mark on taste. Long, narrow stills create more delicate flavours while wider-based stills create bolder profiles. Whisky making is perhaps at its most active stage when the work is done and the waiting begins. A largely tasteless, clear alcohol going in, it's here that whisky comes into its own. The process is one of knowledge, skill, and discipline. From the source of the oak wood to the size of the barrel down to the temperature and humidity of the warehouse, every element of the process is integral to the finished product. It's the aging process where Scotch whisky gets its distinction. In order to earn the classification, the spirit must age for at least three years and one day. There are a host of other restrictions—including that it must be produced in Scotland—but this is the most essential. Master whisky makers through the ages have understood that time is their most powerful tool in crafting the best product. If aging is the key component of a whisky's flavour, then the ingredients are a close second. By law, the only legal additive to whisky is water and plain caramel colouring. In terms of taste, a whisky maker from 1776 and present day are working with the same set of ingredients: the difference is how they prepare and interpret them. Water plays a particularly interesting role. In Scotland, many of the rainfall basins are composed of impervious rock which results in soft water meaning it's largely low in minerals. As the water passes through the meadows around the distilleries, it takes on a character unique to the area. Contrary to popular belief, water that flows through peat bogs doesn't result in a smoky whisky, that's thanks to the barley drying process mentioned above. In many areas of the food industry, chemistry is the key indicator of when a product is perfected. Whisky however, is decidedly more esoteric in its pursuit of quality. The determination of a whisky's flavour is largely up to one person: the blender. This chef de barley of sorts culls from various barrels at different times to determine an expression or—as is often the case in blended whiskies—replicate a flavour profile from year to year. 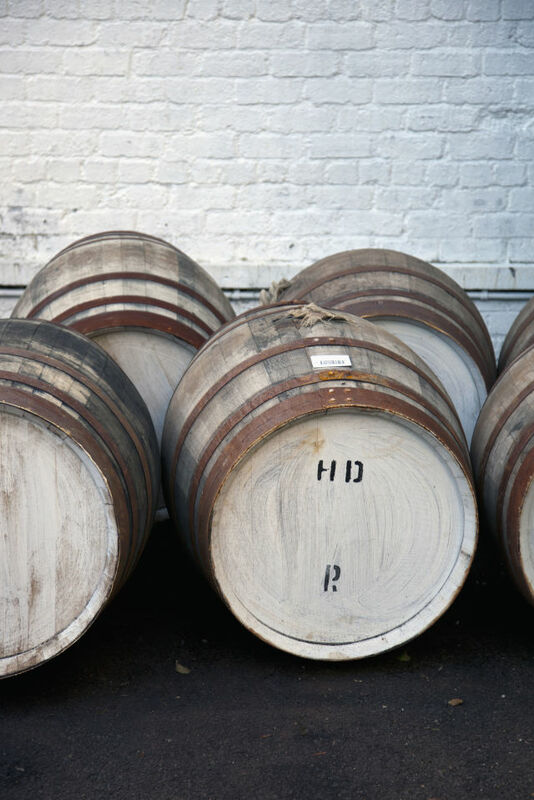 Balancing the age and volume of current whisky stocks with market forces, the position is a blend of the qualitative and quantitative, with the nose and palate serving as the chief guide. 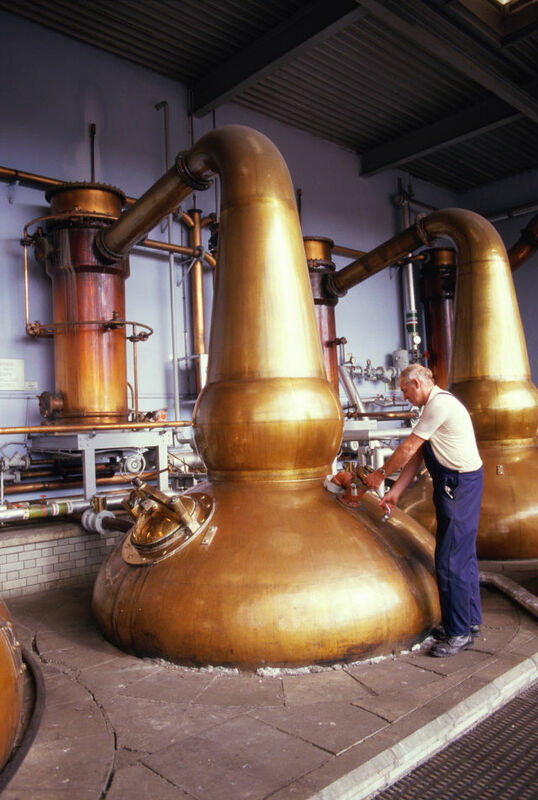 Whisky making has evolved over the last 500 years. Thankfully, makers can meet most demands and the consistency for expressions means an old favorite is always available. Despite these improvements, the field remains a subjective pursuit of passion. In working with natural elements, variables continue to present opportunity and challenges for whisky makers. And in keeping the human touch the final decider of taste, the craft of whisky making retains its timeless character.